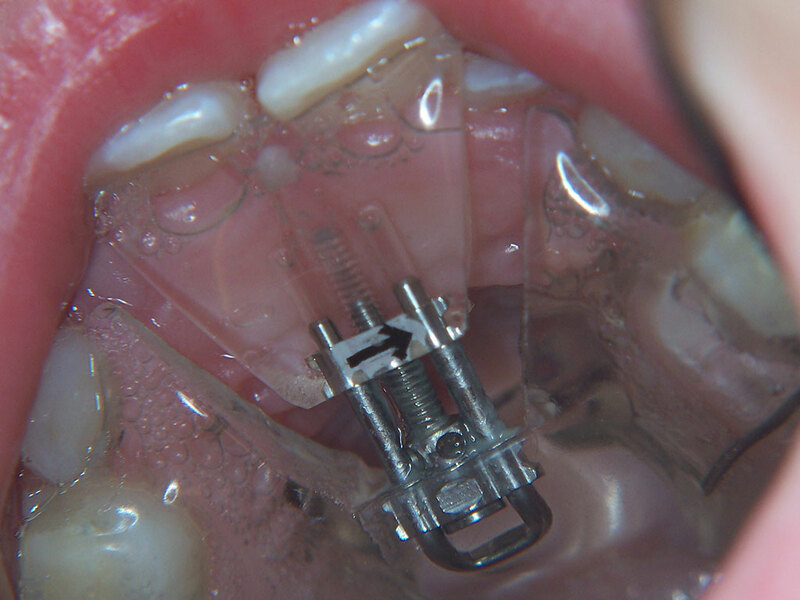 Screw appliance made to move both upper front incisors forward due to inverted front teeth when biting together, caused by lack of space for permanent teeth during eruption. 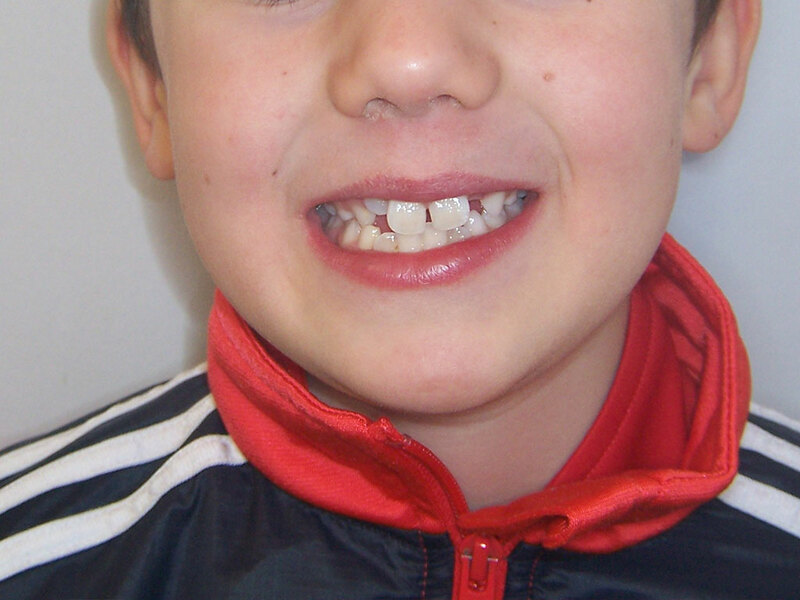 1) Removable screw appliance in place on 7 year old boy with erupting front central incisors. 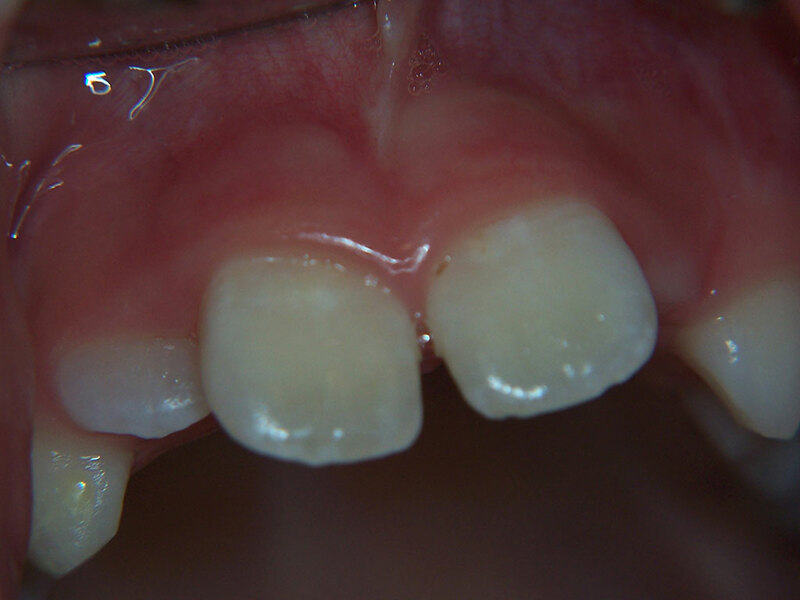 Screw is activated 2-3 times a week during 4-6 weeks which makes the permanent front incisors move forward into right position avoiding permanent fixed brace in the future. 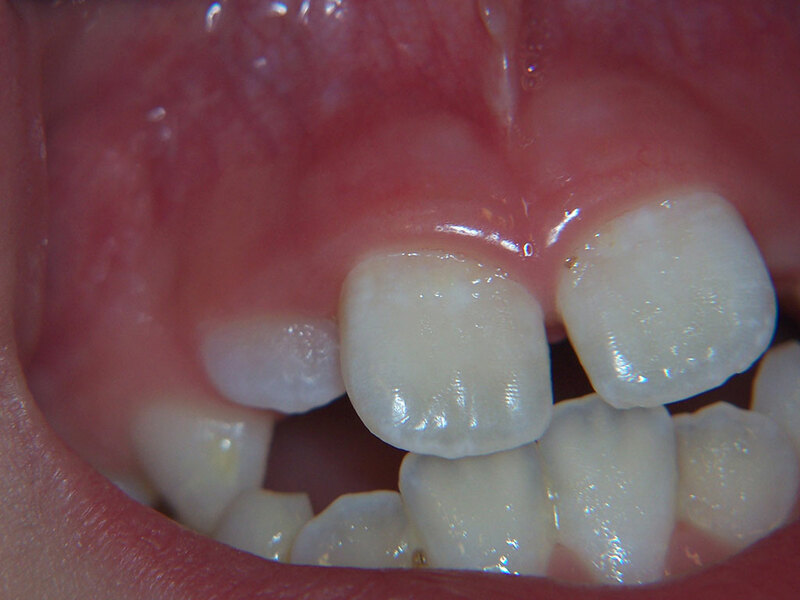 2/3/4) Recently erupted permanent incisors now lined up in right relation to lower teeth when biting together. 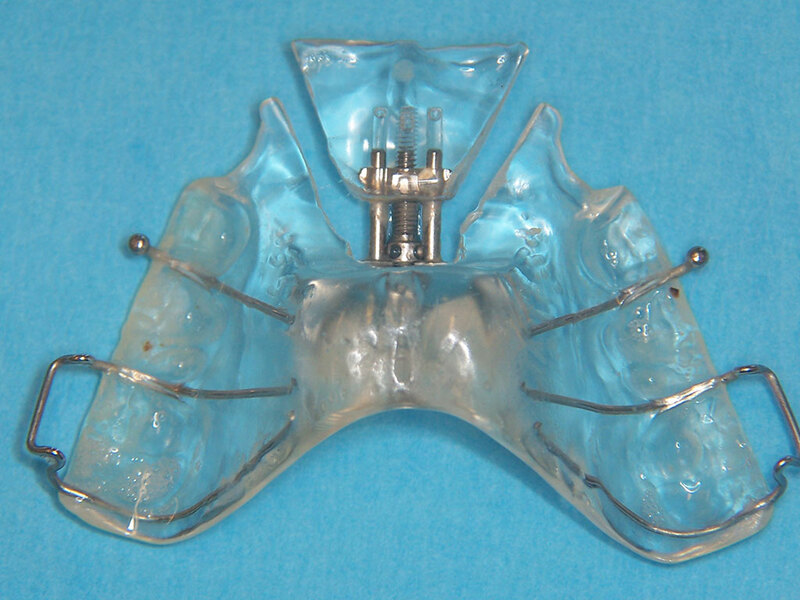 5) Appliance used for 4-6 weeks, very efficient and good result if the child is cooperating and keeps it in place at all times apart from when eating. 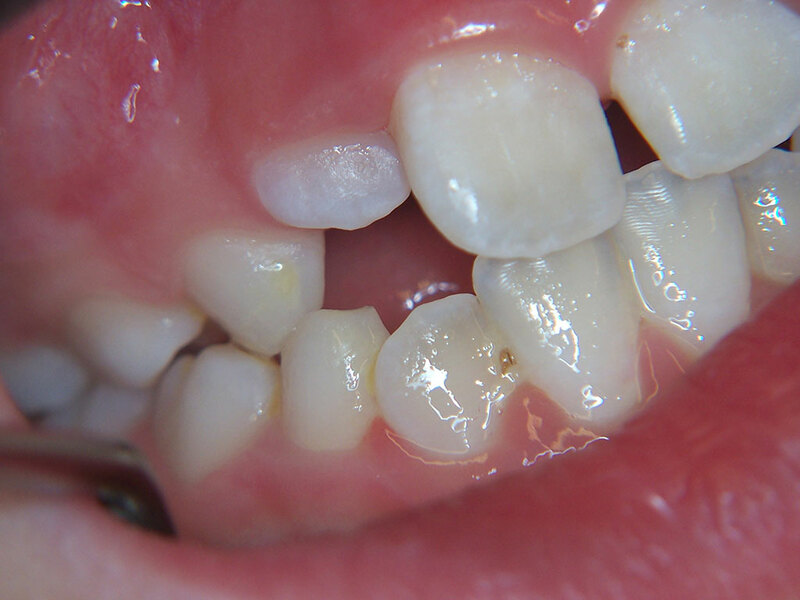 Note the space moved above 5 mm. 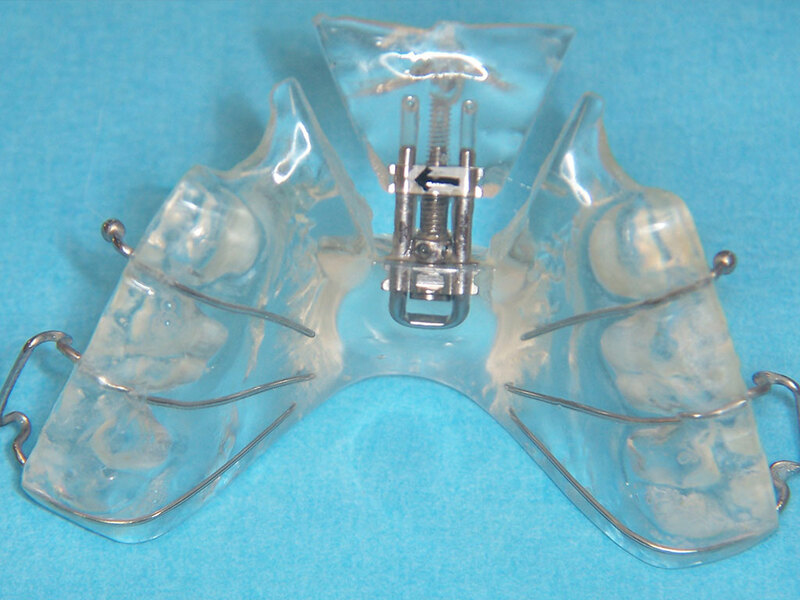 6) Inside view of the appliance with clasps to hold on to back teeth. 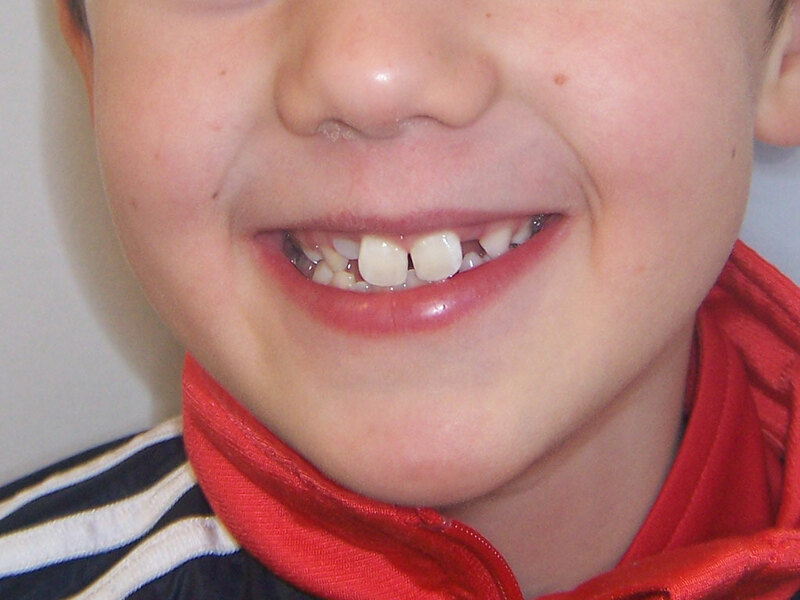 7/8) Good compliance, happy boy as worked really well. Parents also positive and encouraging.